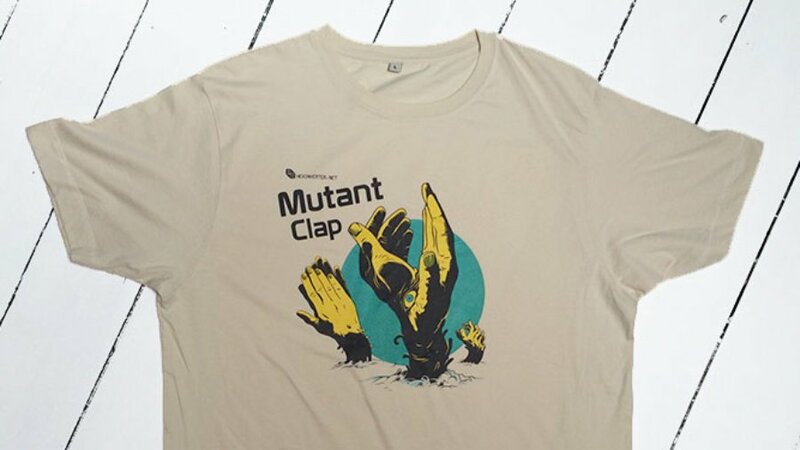 Another brilliant design from Hannes Pasqualini a.k.a Papernoise, this time for the HEXINVERTER ÉLECTRONIQUE Mutant Clap! Anyone who has ever tried to draw hands will appreciate the pure raw talent in this design, not only do they look incredibly realistic, they look totally freakin weird too! Incredible! We love the yellow on the design, it's almost metallic - very, very cool!